Product prices and availability are accurate as of 2019-04-23 11:10:34 EDT and are subject to change. Any price and availability information displayed on http://www.amazon.com/ at the time of purchase will apply to the purchase of this product. 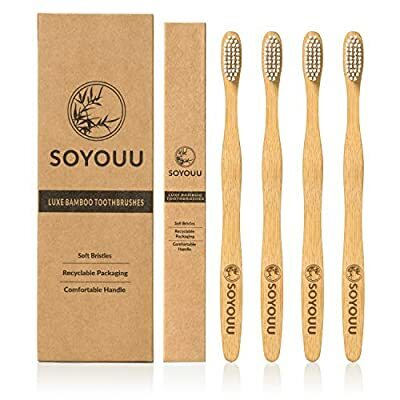 Our Luxe Bamboo Toothbrushes are SOYOUU! Our bamboo handle is superior and made extra thick for a comfortable grip. These brushes are far more elegant then plastic and don't carry the heavy environmental impact. Every plastic toothbrush you have ever used is still here on the planet. Plastic takes upwards of 500 years or more to decompose. Each year 850 million plastic toothbrushes get tossed into our fragile ecosystem. Be part of the solution and choose a bamboo toothbrush today. 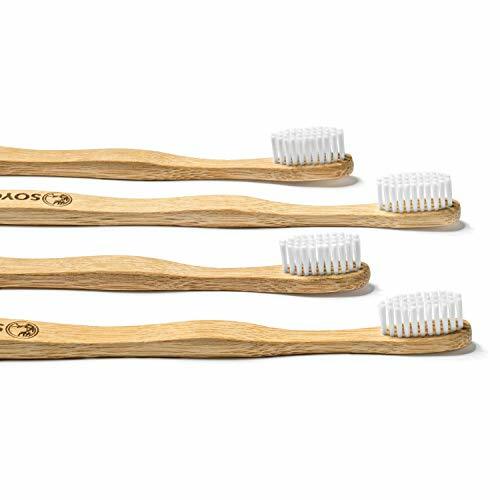 Each bamboo toothbrush purchased is one less plastic brush floating around in our oceans. We applaud your effort to make changes that help support the planet. Why our Eco Friendly Toothbrushes are Better! What are you waiting for? Start making a difference and brush your teeth with natures gift! Click the "Add to Cart" button now and begin your journey with us, the pandas will thank you! 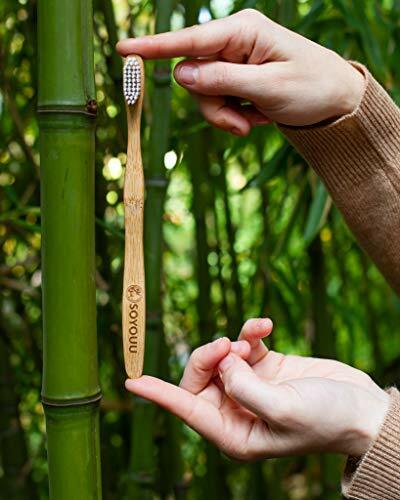 ECO FRIENDLY TOOTHBRUSHES: Our bamboo toothbrushes are nature approved! We believe in products that help the planet thrive. 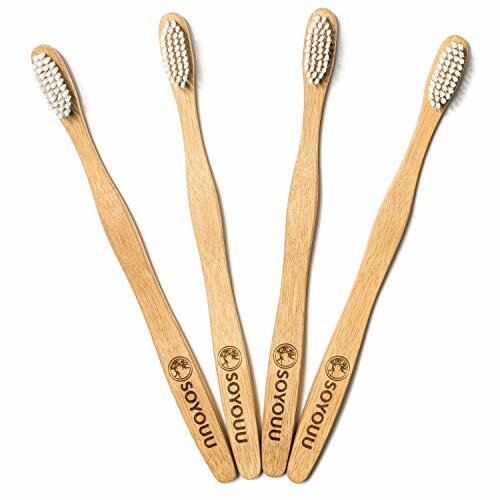 By purchasing a bamboo toothbrush you're reducing excess waste in the environment. Rest assured these toothbrushes are clean for the environment and your teeth! NATURAL & BIODEGRADABLE BAMBOO HANDLE: Our ergonomic bamboo handle is extra thick. The thick and smooth handle provides an ultra comfortable grip so brushing your teeth is easy. 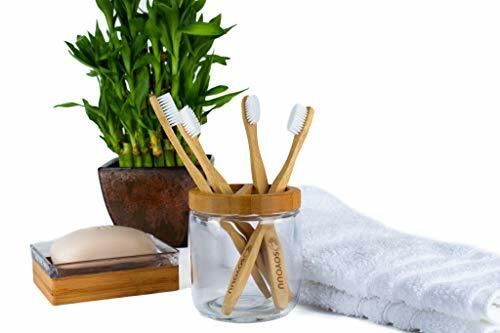 Bamboo is strong and durable so it will withstand the rigor of your daily brushing routine. Experience peace of mind, knowing that the handle will gently decompose back into the earth. SOFT BPA FREE BRISTLES: Dentist's recommend using soft bristles on your teeth to protect enamel. Our bristles are soft and won't be abrasive on your teeth. People with sensitive gums can feel secure knowing that this toothbrush won't irritate them. These brushes will help fight plaque and stains on your teeth. Our bristles are BPA FREE so you can feel good about brushing your teeth with them. RECYCLABLE PACKAGING: Our packaging is 100% recyclable. That means you can dispose in the recycling bin with ease. Zero plastic packaging means less waste on the planet. Everyone will smile brighter knowing that less plastic is being consumed. PACK OF 4 TOOTHBRUSHES & HAPPY CUSTOMER GUARANTEE : A pack of 4 will last one person a year. Stock up and buy one for each member in your household.We want you to be happy and satisfied with your purchase with us. If for any reason you're not satisfied with your purchase you're welcome to return them for a full refund.